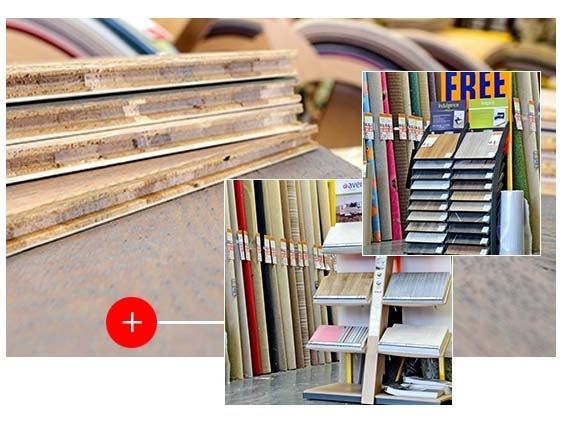 Carpet Smart is a trusted supplier of natural and laminate flooring with a vast product range at our three branches in Beckenham, Charlton, Crawley, Welling and Maidstone. We have a full range of flooring materials to choose from, which add their own distinctive style to your favourite room spaces. We can supply our wood and laminate flooring in any quantities. Carpet Smart is proud to serve customers in London and the South East as an experienced supplier and installer of stylish natural wood flooring. Choose from a complete range of materials, including our perennially popular oak flooring, and let our members of staff advise you on the important aspects of design, style and practicality. If you don’t have time to visit our showrooms, ask a member of staff about our home selection service. We’ll visit you at the most convenient time for you, and show you through our exciting wood flooring samples. If you find something that you like, we’ll conduct a full site survey and measure out your property completely free of charge. Achieve the appearance of real wood at a fraction of the price by choosing Carpet Smart as your preferred laminate flooring supplier. Laminate flooring is highly versatile, comes in many different patterns, produces outstanding hues and is available at great value prices at all five of our showrooms.